I can’t believe it is already time to sit down and reflect on the past month. 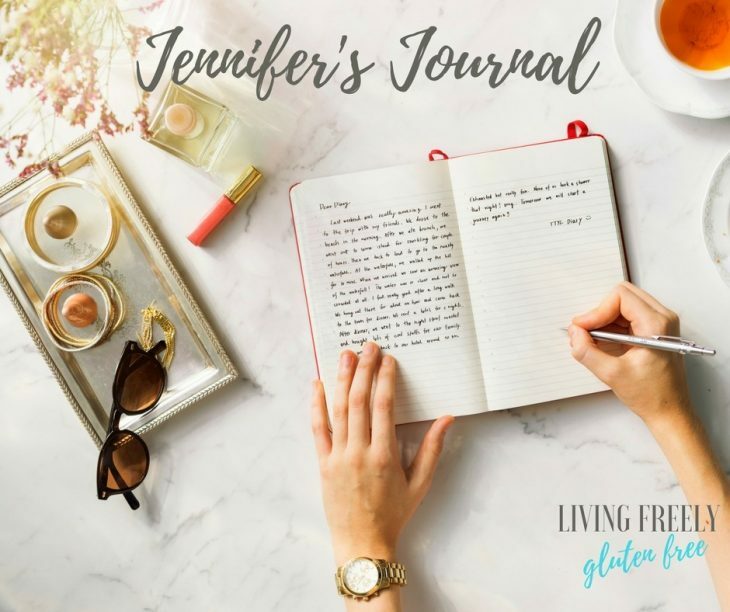 Jennifer’s Journal March 2018. It is always going by so fast. My Husband says that time goes by fast when you are always waiting for something. The next paycheck, activity, blog post. I guess that is really true. In the past 4 weeks I have had to dig deep into my soul and figure out what I want and how I am going to make it happen. When you look at a blog it is usually just this bright and shinny piece of the web that either attracts you or pushes you away. What you don’t see are the layers upon layers of what is behind it. When I started my blog I had no clue what went into blogging, how to make one- absolutley nothing. I could barely take pictures and I was a mediocre cook. I just knew I needed to be creative, so I tried. There is always a struggle, something that costs money. My first hurdle was learning to photograph. It is something that I never stop trying to better myself on. It is also my favorite part of the blog. I love staging the photos, taking the photos, editing them. It is where my creative gene flourishes. I have never taken a professional course either. Then I had to learn, how do I get seen? This is something that never stops. In the blogging sphere you are your numbers. You are worthless if you don’t have a huge following with massive amounts of page views. This is a constant struggle. Then I had to learn how to run a business, file taxes, write a book. The book is something that is one of my biggest accomplishments, yet the most difficult thing I have ever done. I still have issues because of the company I used to print it. I have been pitching to literary agents and publishing companies and so far I am not what anyone is looking for. I recently signed up for a food blogging course. This is truly changing everything for me. See, I started this knowing not how to do a single flipping thing. I was wondering how other bloggers who started a year ago are doing better than me? Well, its this crazy informative course. So, I am now allowing myself the time to work on what is happening behind the screen. Because if I don’t I can’t continue to do this day in and day out. This blog is my passion. I have never been so passionate about anything in my life. So, failure is not an option and to think about having to quit… makes me sick. The rejection is hard too. I have to build myself back up constantly. It’s exhausting. So, between being told your not good enough, nickeled and dimed to death (blogging is freaking expensive) I have been exhausted. I taught my first class at Whole Foods this week and the turn out was not great. That really deflated me and the class itself took a lot of my energy. I am working to build my energy back up right now. Next week is spring break and both of my kids are going to be home. I just wrote a blog post for some amazing Paleo Ribs that will rock your BBQ. I finished it up today because I am taking next week off. I need to detox from social media, electronics and work. I am spending the entire week hanging out with my kids, being curious with them and soaking them up while I can. I need to decompress and now is that time. After next week I know I will be ready to hit the ground running again. Blogging is so different then a regular job. You work for free, you work all hours of the day and you never get a day off. I still have to schedule social media, check it a couple times a day and work on pinterest, or my pageviews will drop. Sorry to be a Debby downer this post, but March has been rough. We also are planning to move back to California, but can’t until my husband finds a job back where we used to live. Lots of pressure coming at me, but I still have my eye on the prize. To any of you that take a moment to read this and that visit my page- I just want to say thank you from the bottom of my heart. Keep coming back, talking to me and letting me know your around. I hope you all have a wonderful Easter, and drop a line if you have a moment. You’re messages, comments and support are what fuels me.